Paint finish colors may not be accurate representations. 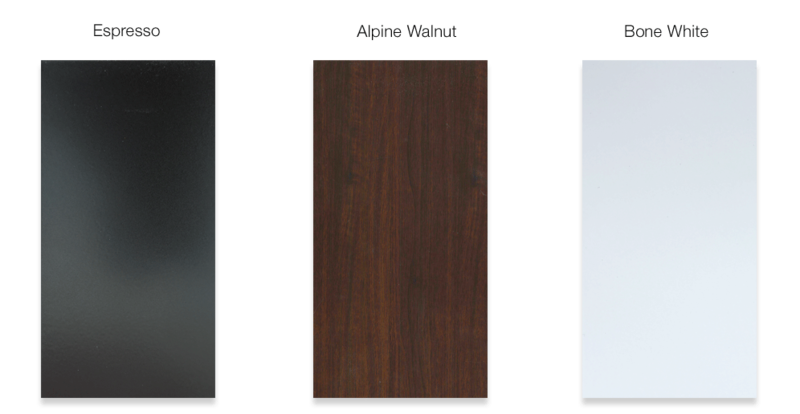 For the more demanding customer we offer a variety of custom finishes (premium charges and longer lead times apply). Our hinges are die-cast aluminum, stainless steel pin and self-lubricating nylon bushing. They are screwed onto a stainless steel sliding backplate rather than directly onto the frame allowing a millimetrical adjustment if needed. As a complement to its casement windows La Finestra offers an optional pull down mosquito screen. 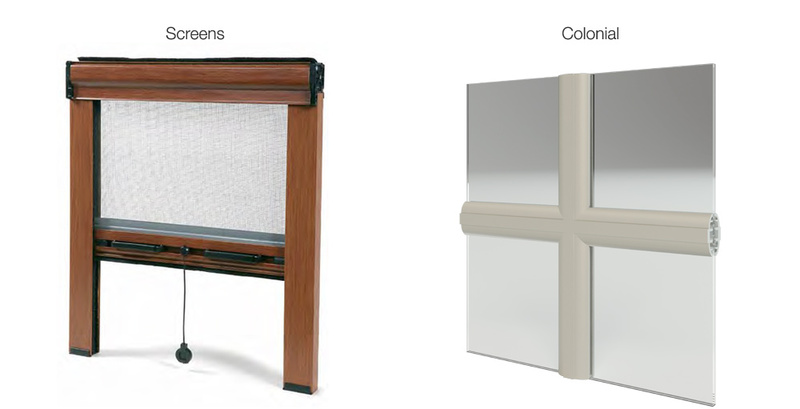 Built with the same quality that characterizes our products the pull down mosquito screens are made of an aluminum frame and tracks that come in the same finish as the windows. One of the major benefits of a pull down screen compared to a fixed screen is that it is used only when the window is open thus accumulating less dust. They are also equipped with a speed reducing clutch that can be adjusted for a slower roll-up. Often confused with “mullions” colonial muntins or “grille” are applied to simulate the division of a single pane of glass into multiples. La Finestra offers SDL (Simulated Divided Lights) or surface applied muntins to virtually simulate any glass division design. Our muntins are ogee shaped and give a classic luxurious look to the windows or doors. Of course, they come in the same finish as the window or door.